Well its football season, and where there’s football- there’s a tailgating party somewhere. You, your spouse, and your kids can all enjoy the fun and excitement during the game, but what about your pup? Of course they’re gonna love the attention, but are you ready to keep them safe from any dangers? Tailgating involves cookouts, lots of different people, and the hot sun, and unless you know what to do and what to avoid, tailgating can prove a little hazardous for your pup. Does your pup have what it takes? First you have to decide if your pup can handle all that excitement. Pups that have anxiety, especially around large groups of people including children, may not do so well in the high activity atmosphere. Young puppies are probably not going to do well in such atmospheres, even if you do want to show them off. With all the commotion going on, their senses can overload and cause anxiety attacks. The heat is also going to play a factor. Dogs with low tolerances to heat may not have the endurance to handle the party. They’ll never show it, but it can definitely wear them down or make them sick. Making sure your pup is well trained and will obey your commands is also important. If they won’t listen to you around the house, you’ll have even more trouble around a group of people. Leashing them up won’t necessarily solve the problem either, as they may just continue tugging and hurting themselves. If you feel your pup is ready to join the party, you need to make sure everyone else is as well. There will be human food everywhere and likely beer as well. These shouldn’t be offered to your pup (especially beer) and make sure others know this as well. Cooked bones from chicken and even ribs shouldn’t be offered either. It will be important that the children are aware of this too. Taking safety containers and properly disposing of waste will prevent your pup from sneaking any treats for themselves. For the heat, there are sunscreens available for your pup specifically, so make sure you dab a spot on their nose and ears. Having a sanctuary ready for your pup where they can go to rest and get cool is going to be important too. Make sure that there is a spot in your vehicle or RV where they can go to get away from the activity. When the game starts, most folks will rush to the gates and grab their seats, so what are you going to do with your pup now? Some people may opt to bring them in, but all the activity may be confusing, and now you have many other people that can drop food, bones, and beer for your pup to snag (they’re quick too, so don’t think you can stop them every time). It is often best to let them stay with the party instead, but don’t just lock them in the vehicle. It’s best to organize it so that someone stays with them, perhaps an alternating rotation such as you, then your spouse, and even some of your friends that you trust (and your pup trusts too). You’ll also need to pack their own food. Bring their dishes for them specifically, don’t let other dogs have access to them. 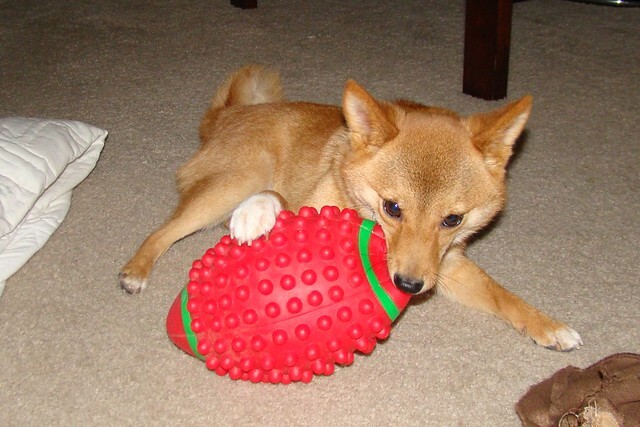 Some toys and a few treats can prove to entertain your pup while they cool down. Since the laws of eating state, what goes in must come out, don’t forget to bring some disposal bags. Taking your pup tailgating can be fun for you and them, but remember that their health and safety come first. If your four legged friend is ready to join you for the next football game, then go for it and enjoy. Previous Previous post: Should You Find a Weight Loss Program for Your Dog?